Freezer storage containers, which are an excellent alternative to freezer bags, can be a great investment because they are an affordable way to prolong the freshness of your food. In fact, it really doesn’t make sense to spend precious time and money on freezer cooking but have to toss all your food in the garbage bin because it went rancid, got freezer burned or oxidized simply because you used cheap containers. Cheap can indeed be expensive. If you invest in the right containers, you don’t have to frequently discard hundreds of dollars of food investment. The long hours invested in the food’s preparation also remain time well spent. Good freezer containers are strong (even the disposable ones), heat resistant, shatter proof, grease-proof, are easy to seal, open, clean and label, and can of course, withstand freezing temperatures. Sometimes it can be difficult to check off all these features on a single container. So, which container you select will depend on the set of criteria that you consider most important. 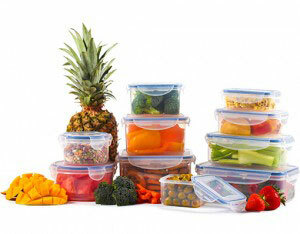 Freezer containers come in different categories: BPA free, plastic, glass, stainless steel, airtight and leak proof. In addition, some are best suited to storing breast milk, baby food, ice cream, jam, meat and hamburgers. If size is uppermost in your mind, you can opt for either the small or large containers. Or you can go granular by opting for 2 oz, 4 oz, pint or quart containers. As the old adage goes, “you are what you eat.” We all place a high premium on family health and will often go to great lengths to prepare wholesome meals for our loved ones. But if we carry out batch cooking, we should be equally concerned about retaining the healthy qualities of this food right up to the time it is consumed. And this includes the period it spends in the freezer, irrespective of whether this is chest or upright. One way of doing this is to ensure that the freezer containers we use do not contain bisphenol A, or as they are often referred to, that they are BPA free. This is because some research has found that when BPA, a chemical which is used to make plastic containers seeps into food, it can lead to a range of negative health consequences. These include certain forms of cancer and birth deformities. It is therefore better to be safe than sorry. Is The Appeal Of Plastic Irresistible? Plastic containers provide good freezer storage solutions because of their unique qualities. For example, because plastic is durable, you can be sure that you won’t lose your precious investment just because a container slipped from your hands while you were reaching for the freezer door. 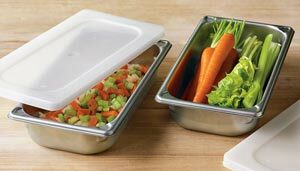 In addition, plastic containers are cheaper than their stainless steel and glass counterparts. As such, they tend they be a common feature in many kitchens, and freezers. And because they are lightweight, they are easily stackable. They are therefore great for food organization and are incredible space savers. 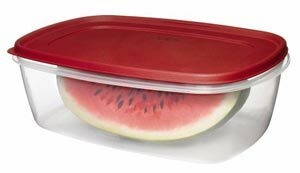 Plus, plastic freezer containers are generally lightweight, making them convenient to toss into a portable fridge freezer or the good old picnic basket for a fun, safe family outing. So, there is no need to worry whether your chicken will smell like the fish frozen next to it after a couple of weeks. Toughened glass containers are also very versatile. Therefore, they will comfortably go from the freezer to the oven (or microwave), then to the dining table and to the dishwasher without disintegrating. Like their glass counterparts, stainless steel containers are a great choice if you are looking for non-plastic freezer storage alternatives. They are elegant and durable. 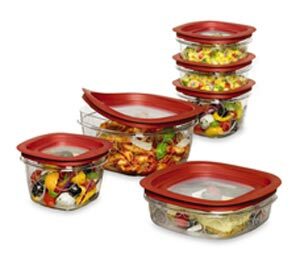 They are also versatile and besides providing excellent freezer storage, are generally oven and dishwasher safe. As such, you can be sure that your food is not at risk from BPA contamination, which as indicated above, is associated with certain plastics. 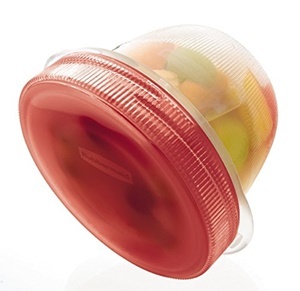 These containers are also readily reusable and are therefore eco-friendly. 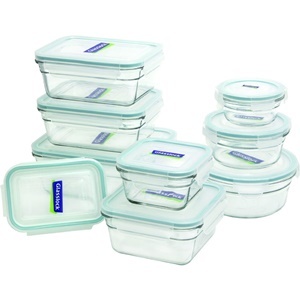 By their very nature, airtight containers are impermeable to air. So storing your food in there helps to keep air—which is often laden with dangerous bacteria—out of your food. The obvious benefit of investing in airtight freezer containers is that they keep your food fresher for longer. Prolonging the life of your food also helps to stretch your hard earned money, which can be wasted through discarding spoiled food. In this sense then, airtight containers are literal money savers. Plus, they safeguard you and your family's health by keeping harmful pathogens firmly at bay. Obviously the best food for a newborn is mum’s breast milk. It is therefore a good idea to express the surplus milk that baby can’t take and store this for use when you return to work or get too busy to keep up with baby’s growing appetite. If you are looking for a cost-effective way to store breast milk, be sure to check out our page on the bestselling freezer safe breast milk bags and bottles. As you begin to wean baby though, it is a good idea to gradually introduce nutritious homemade food. However, as serving portions are tiny, it is best to freeze baby’s food into little meal sizes using the bestselling purpose made freezer storage containers. Liquid storage containers seal to create a leak proof barrier. In so doing, they allow you to confidently freezer yogurts, soups and other entrees that would otherwise be a risky undertaking. 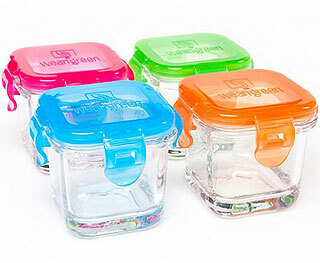 These containers also make excellent lunch boxes because they won’t mess up your bag or basket on your way to office, school or the picnic site. 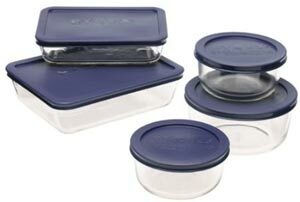 They therefore are a great tool to help you make your lunches well in advance and freeze them. 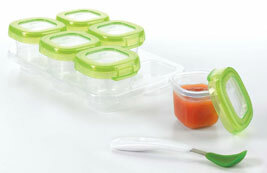 Looking For Containers To Freeze Specific Food Items? Some food items freeze best in specially made containers. Ice cream freezer storage containers, for example, help you keep your dessert at just the right temperature. This keeps it from thawing but also prevents ice buildup. If you buy meat in bulk, then prepare cutlets, and divide them into meal portions to freeze and thaw as needed, you will need to invest in a system that isn’t tedious to use, locks in the juices and won’t crack or shatter. Be sure to check out the plethora of vacuum sealing systems on offer. Hamburgers keep best in, well, hamburger freezer sets. If you pick up your hamburgers from your local grocery store, you should consider homemaking your own. All you need is a patty press and a list of the ingredients. 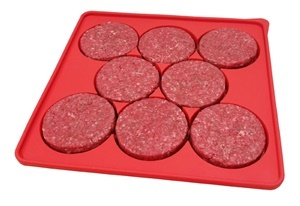 If you are looking for something chemical-free and more chic, take a look at this silicone burger press. It is BPA-free and FDA-approved! Plus, it keeps each burger patty separate so there's no sticky mess. And, by individually sealing each patty, this burger press helps to prevent that horrible freezer burn. Making your own hamburgers gives you control over the amount of salt and fat in the patties and is a great option for health enthusiasts. And, because freezer jam isn’t cooked, it tastes just like real fruit. It also offers the wholesomeness of fresh fruit. 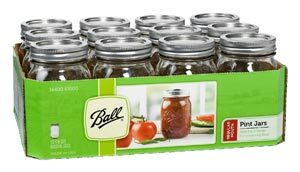 The best freezer jam storage containers are wide-mouthed glass canning jars. In essence, vacuum sealing food and freezing it removes oxygen from your food. Eliminating oxidation from fatty foods such as meats helps to keep your food fresh by locking in flavors, natural juices and moisture. Vacuum sealing also locks out disease causing pathogens, prevents freezer burn and considerably prolongs the life of your food. It is vital to select the right container size for the volume of food you tend to freeze. Bear in mind that foods that contain water typically expand when frozen so you need to allow sufficient headroom for this. However, too much unoccupied space in the freezer storage container can lead to freezer burn and oxidation where disease causing microbes flourish. Plus ideally, the right container sizes are those that are just about large enough to accommodate individual or family meal portions. So it is perfectly understandable that as consumers, when it comes to storage containers, we hate experimenting and prefer to stick to a brand we know and love. 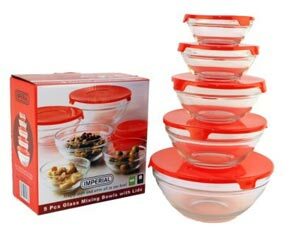 Some of the tried and tested brands in the freezer storage world are OXO Tot Baby Blocks, Stor Keeper by Arrow, Glad, Pyrex, Ball Plastic, Bes Pak, Rubbermaid, Tupperware and Ziploc. Do Certain Stores Sell Better Freezer Containers? We are likely loyal customers of certain stores either because they are located close to where we live or they carry extensive product ranges. Or because we trust their choices on the brands they stock. Leading retailers that carry an extensive online freezer storage container range include Amazon and Home Depot and Walmart. Which Freezer Container Will It Be? So clearly, when it comes to choosing the right freezer storage containers, the world truly is your oyster.